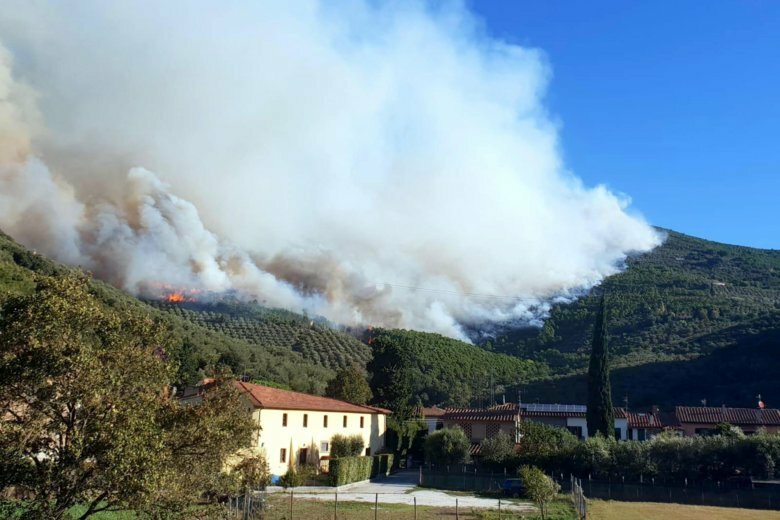 ROME (AP) — Italian emergency authorities say a suspected arson fire in the countryside near Pisa has forced at least 700 people to flee their homes and has ravaged some 600 hectares (nearly 1,500 acres). Tuscany Gov. Enrico Rossi told reporters Tuesday that arson was suspected and authorities were investigating. The blaze erupted Monday night on the wooded slopes of Mount Serra and quickly threatened homes in nearby hamlets. Authorities said hundreds of those who were evacuated spent the night in school gyms and church community centers that doubled as emergency shelters. Rossi said heavy winds up to 50 kph (31 mph) were whipping up the flames. They were also hampering the work of water-dropping planes. The strong winds were expected to last into Wednesday.